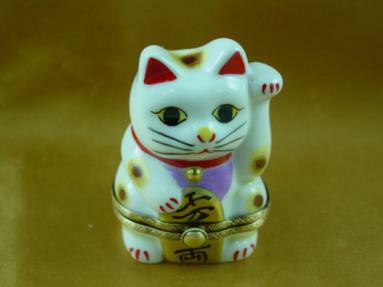 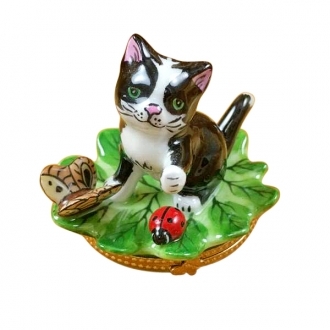 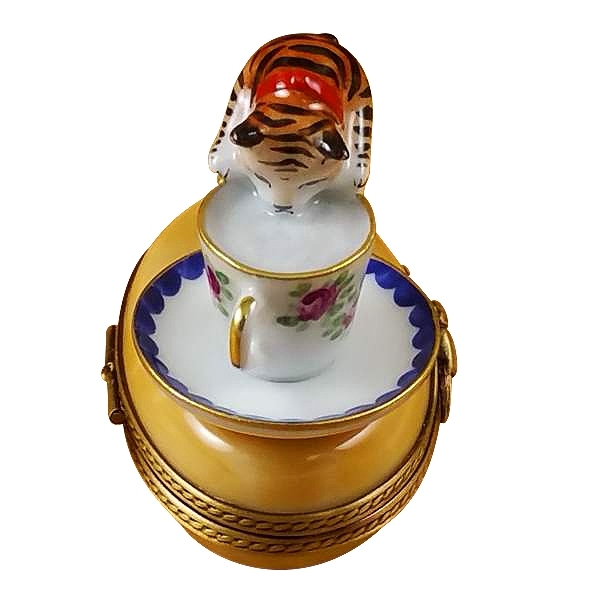 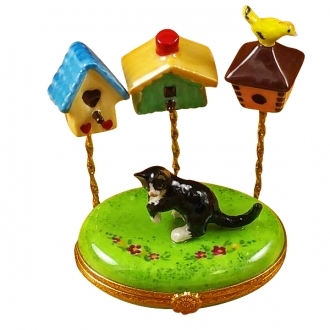 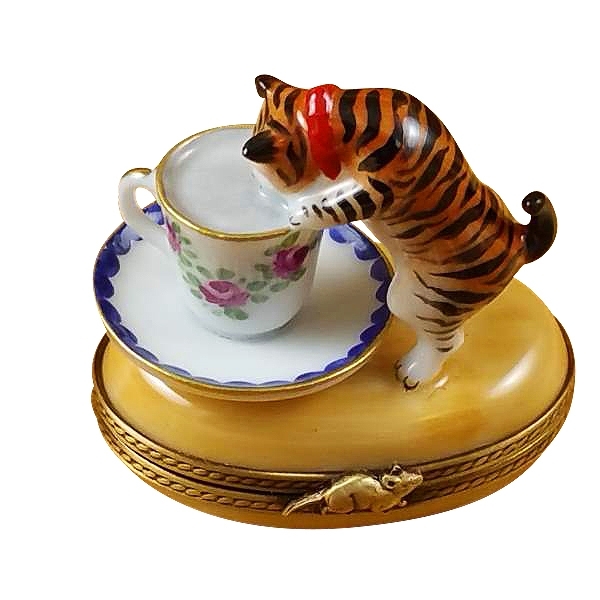 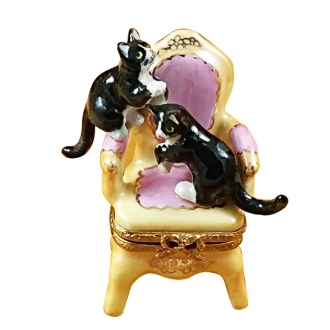 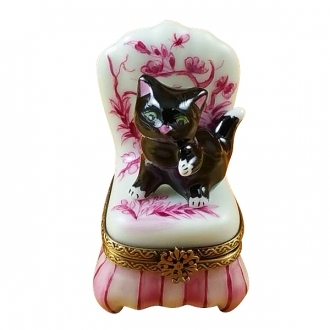 Cat w/milk - Limoges Boxes and Figurines - Limoges Factory Co. 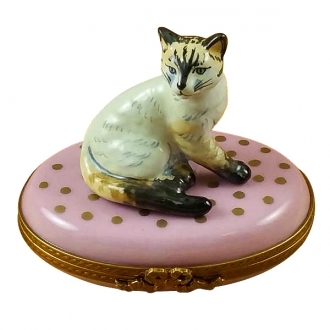 This is a beautiful Limoges box in pastel color. 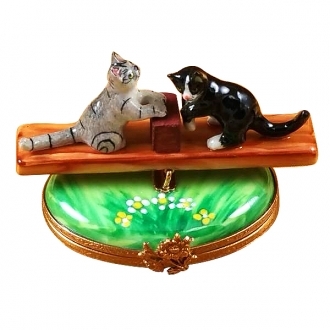 A beautiful three dimensional scene from real life is presented on the box. 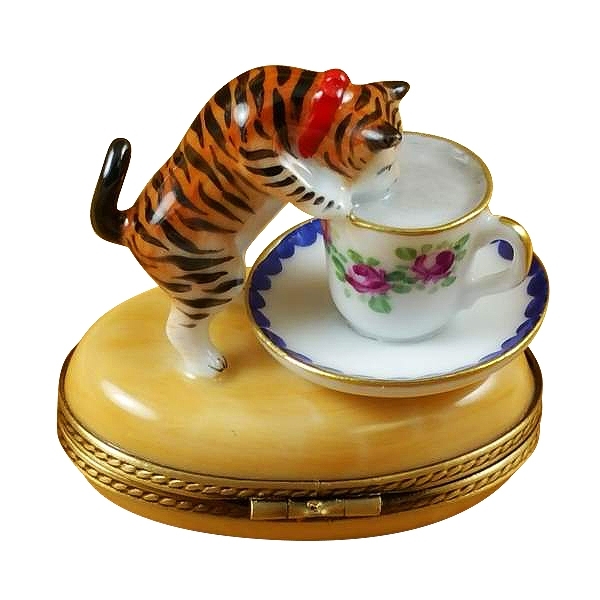 An adorable kitten is scene drinking milk from a cup set on a saucer. The striated kitten with a red neck band around its neck presents a charming picture. 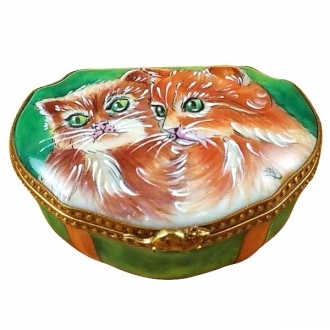 This can be presented to a cat lover. 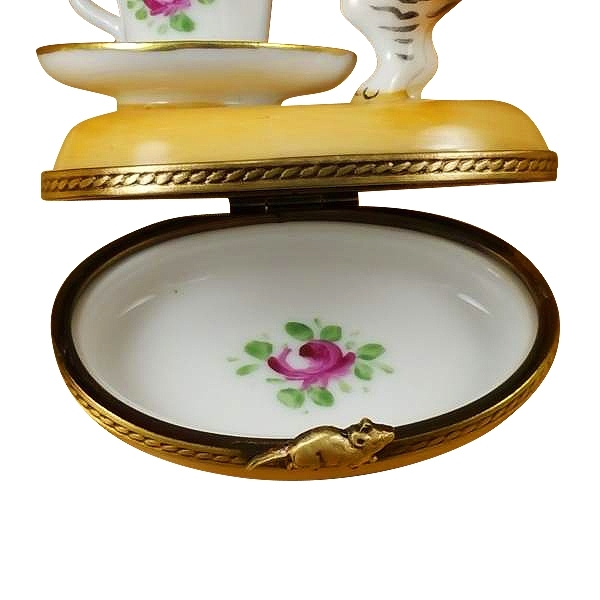 It can be used as a table décor piece also. 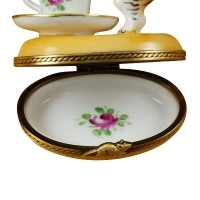 Measurements: 2,25" х 1,5" х 2"